Two terrorists including top Al-Badr commander Zeenat-ul-Islam have been killed in an encounter with security forces in Kulgam district of Jammu and Kashmir, police said Sunday. “The two militants killed in the Katpora encounter have been identified as Zeenat-ul-Islam and Shakeel Dar. Both were involved in several terror crimes,” a police official said. Islam, a category A++ militant, had switched over to the Al-Badr from the Hizbul Mujahideen in November last year following agreement between the two outfits to strengthen the Al-Badr. Islam was active since 2015, the police official said. 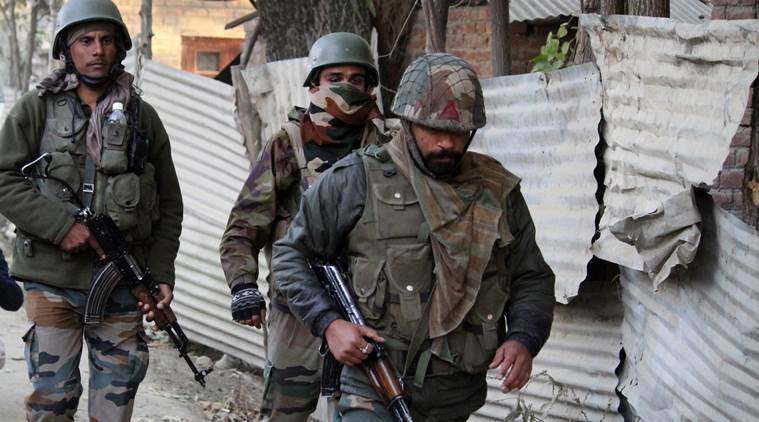 He said security forces launched a cordon and search operation in Katpora area of Yaripora in south Kashmir’s Kulgam district Saturday evening after receiving specific information about the presence of militants there. As the forces were conducting the searches, the militants fired on them, he said. As per policy, the militants were given an opportunity to surrender, but they continued to fire, the official said. The forces retaliated, ensuing an encounter in which the two militants were killed, he said. Arms and ammunition were recovered from the encounter site, the official said, adding, no collateral damage has been reported during the encounter.